The technological landscape for Fintech is moving at a rapid pace. We’re seeing the rise of AI Assistants, Chatbots, Internet of Things, Wearables, and Virtual & Augmented Reality. These technologies are still taking shape, but it is safe to say that, in the near or more distant future, they are going to change the way financial services are used and delivered. Regulation will also play a role. By January 2018, the revised European directive on payment services (PSD2) will mandate the opening of banks’ APIs to third parties, with the aim to accelerate innovation in the sector. What opportunities does this present to your business? How do you ensure that future solutions will benefit both your customers and your employees? This document highlights the key opportunities and the User Experience challenges regarding the most important of these technologies. 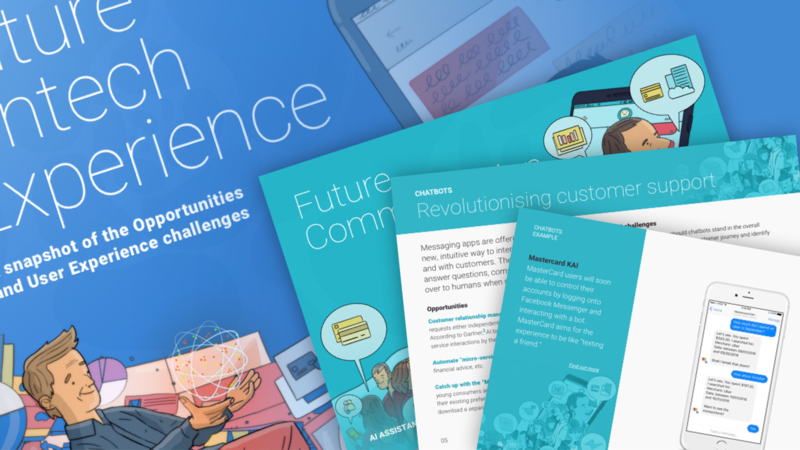 Download: "Get Your copy of "Future Fintech Experience""